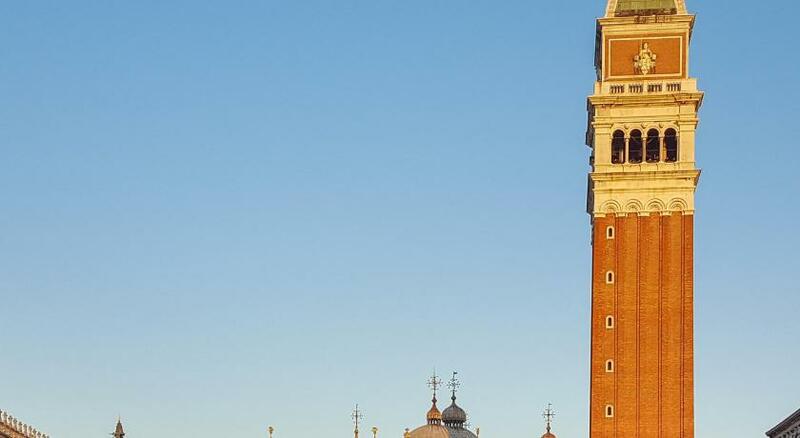 Lock in a great price for Splendid Venice - Starhotels Collezione – rated 9 by recent guests! 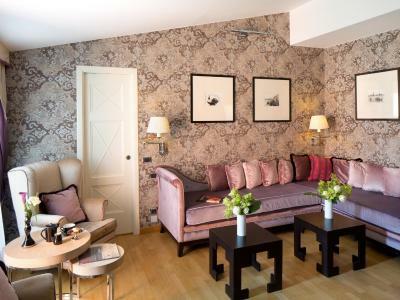 The location, the room, the lavender slippers !!! 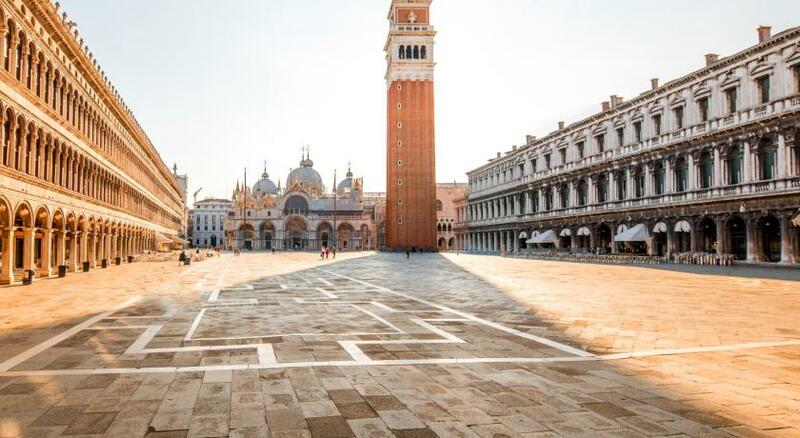 Very central, all main landmarks are walkable distance. The buffet breakfast was great (thank you Nina and Silvia for the excellent service! 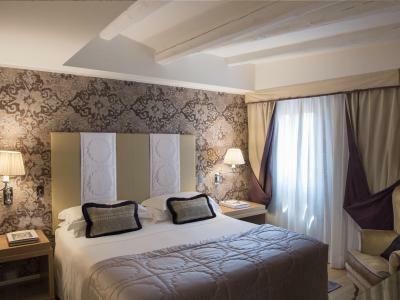 ), the room was very clean and fairly spacious, super comfortable bed, lovely view of the canal. All staff were really friendly and helpful. Highly recommended. The facility was immaculate. The staff very professional yet warm and friendly. Bathroom was great. Added amenities of slippers, shampoo and conditioner! This place was beautiful! They let us check in early. They were extremely helpful. The room was gorgeous and spacious. 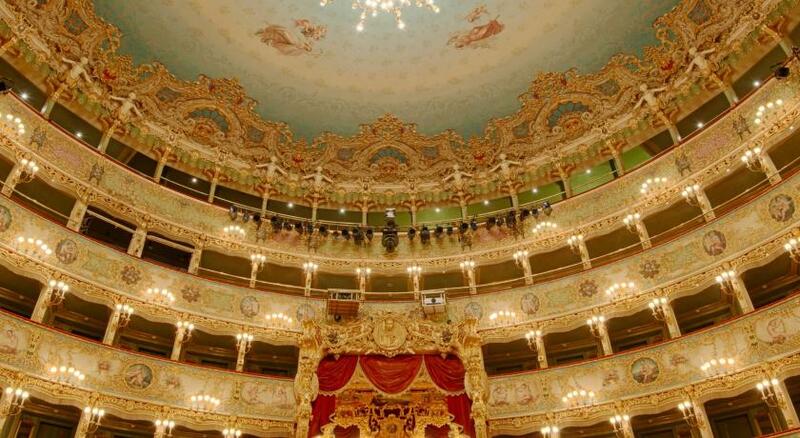 Very luxurious. The staff very professional and pleasant but Fabricio was excellent he helped us out with directions for two lost tourists. He made sure we understood explaining in detail how to get were we wanted. The room is clean and comfortable. The location is perfect. 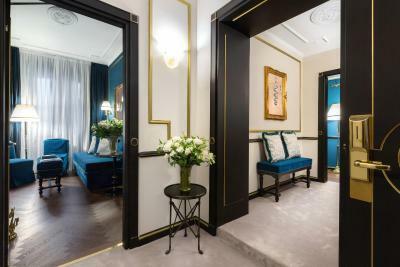 Splendid Venice - Starhotels Collezione This rating is a reflection of how the property compares to the industry standard when it comes to price, facilities and services available. It's based on a self-evaluation by the property. Use this rating to help choose your stay! 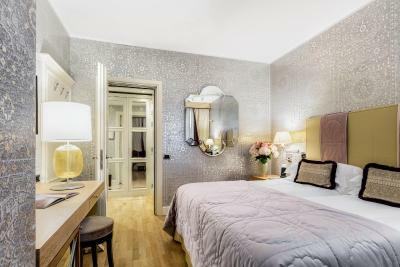 One of our top picks in Venice.Located 5 minutes' walk from St. Mark's Square, Splendid Venice - Starhotels Collezione is set on a canal in the Mercerie area of Venice. 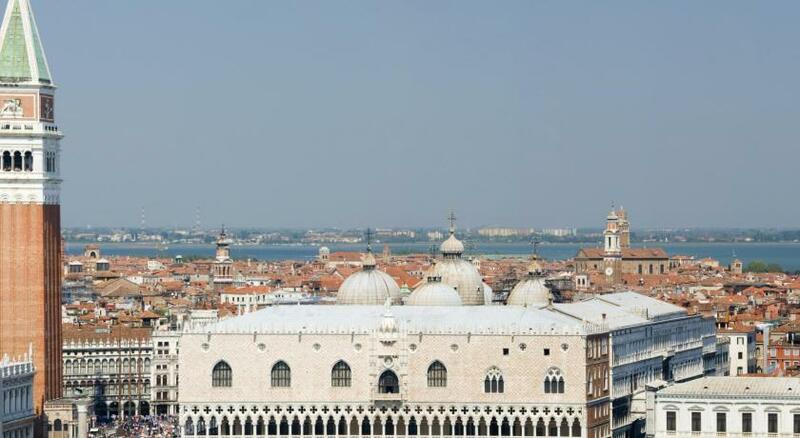 It features a private pier, a gourmet restaurant, and a rooftop terrace overlooking Venice. 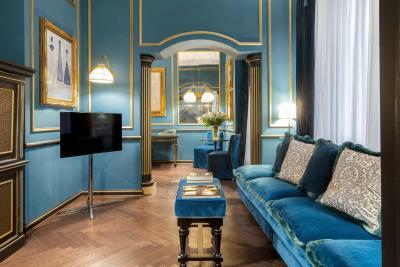 Elegant air-conditioned rooms at the Splendid Venice each feature a satellite TV and a mini-bar. Free WiFi is included in some rooms. 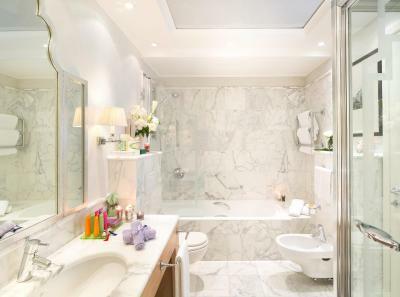 The private bathroom includes a soft bathrobe and slippers, and some rooms have a canal view. An American buffet breakfast is provided daily, while Le Maschere restaurant serves traditional Venetian dishes and seafood. 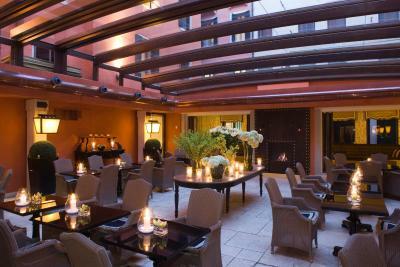 Guests can enjoy drinks at the Altana rooftop terrace. 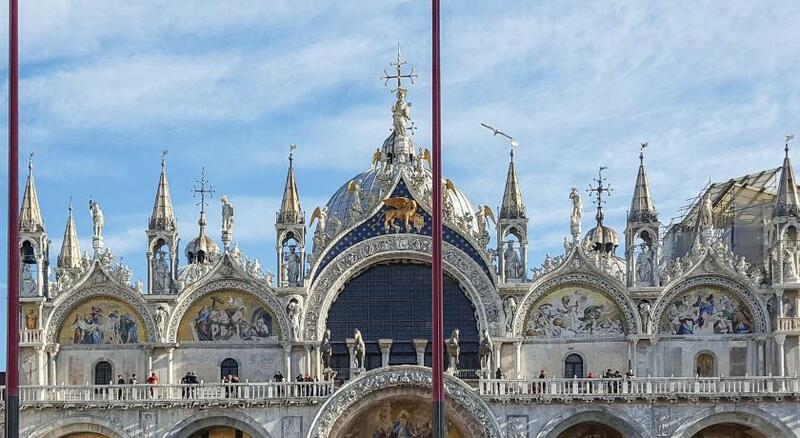 Venice’s Santa Lucia Station is 1.9 mi away, reachable by Vaporetto water bus line 2. 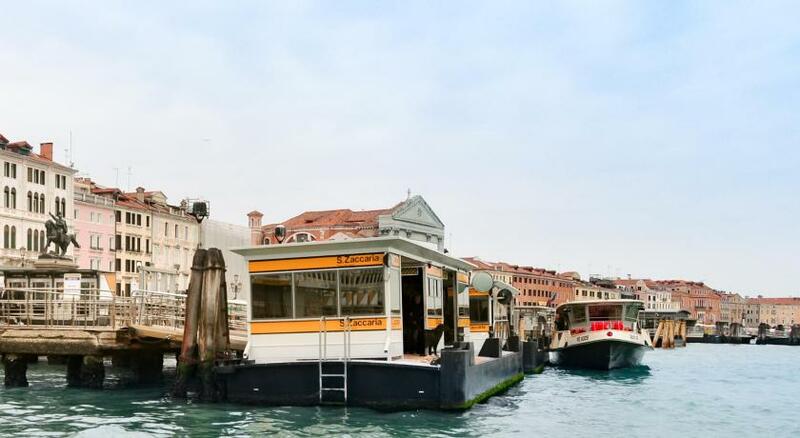 The nearest water bus stop is Rialto, 5 minutes' walk from the hotel. 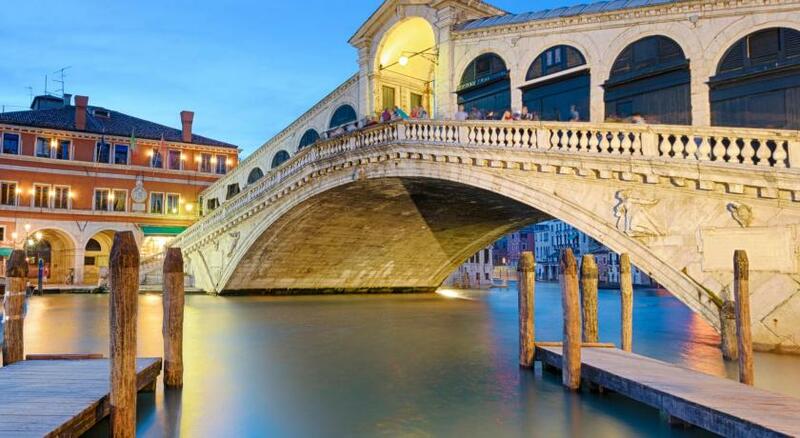 The Rialto Bridge is 1,150 feet away on foot. 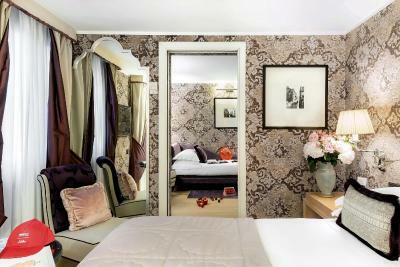 When would you like to stay at Splendid Venice - Starhotels Collezione? 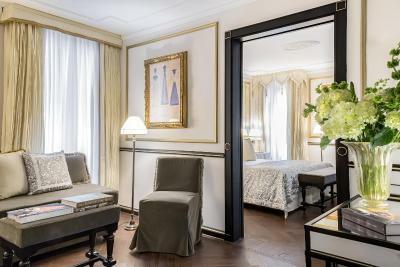 With free limited Wi-Fi, this elegant room has silk drapes and oak parquet floors. It includes air conditioning, satellite TV, and a minibar. 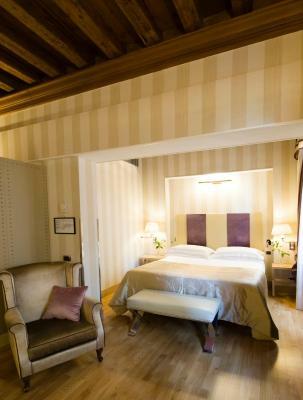 This spacious room has free unlimited Wi-Fi, silk drapes and oak parquet floors. 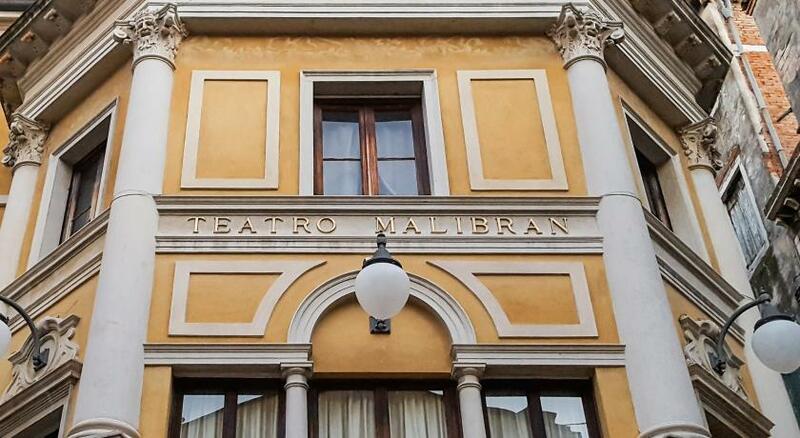 It includes air conditioning, satellite TV and a minibar. Separate beds are available upon request. 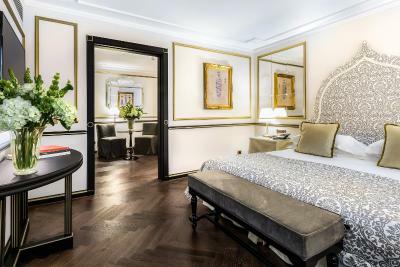 This elegant, spacious room has free unlimited Wi-Fi, silk drapes and oak parquet floors. 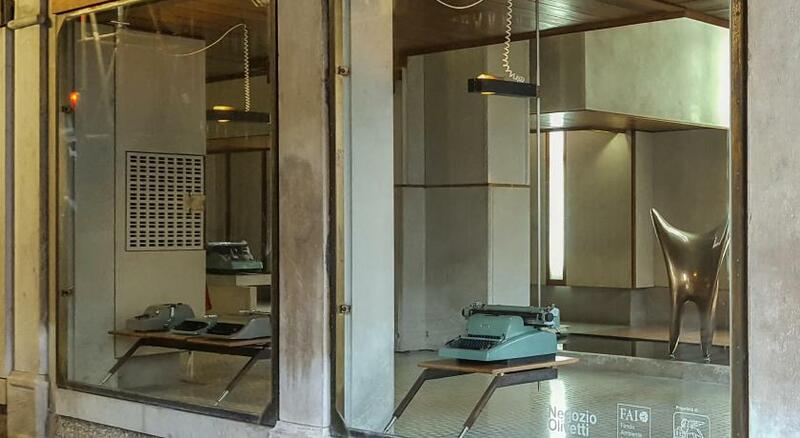 It includes air conditioning, satellite TV, and a minibar. 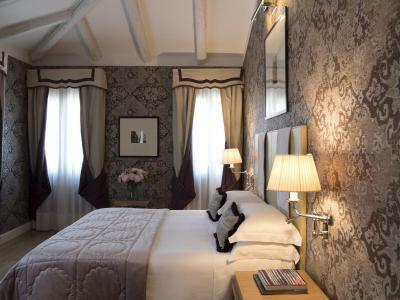 This room has slippers, a feather bed and windows overlooking the canal. 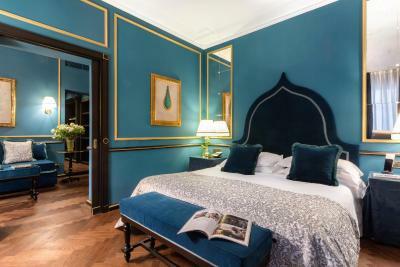 This room features a large lounge and a bedroom with a feather bed. Free unlimited Wi-Fi is included. 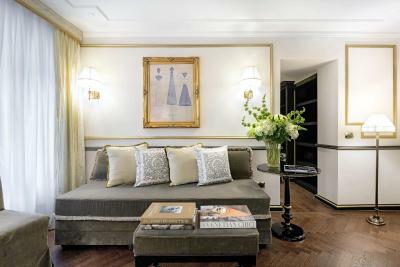 This room has a canal-view terrace or hydro-massage bathtub. 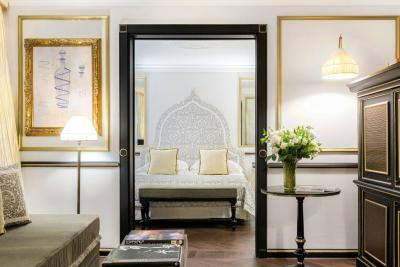 This elegant, spacious room has silk drapes and oak parquet floors. It includes free unlimited Wi-Fi. 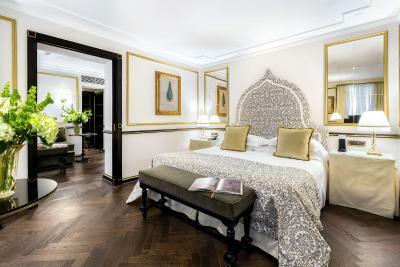 This room includes slippers and a feather bed. 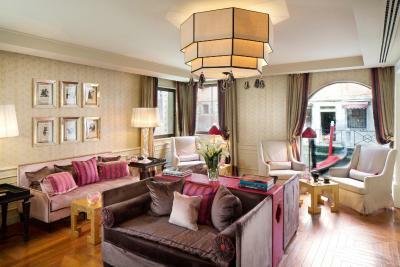 Offering free unlimited Wi-Fi, this suite features a terrace, an Illy coffee machine and butler service upon arrival. 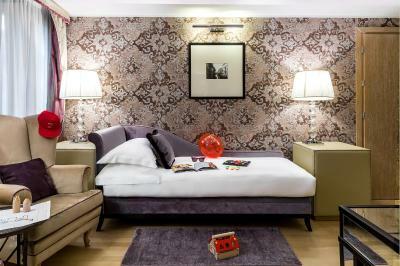 This room offers a comfortable late check-out at 2 pm. 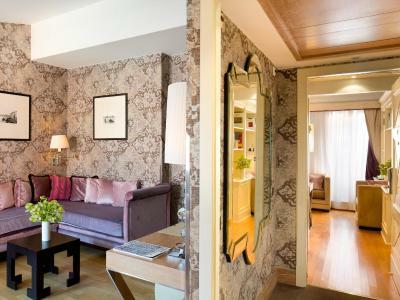 This suite features 2 bathrooms with Etro toiletries, 2 minibars, and free unlimited Wi-Fi. 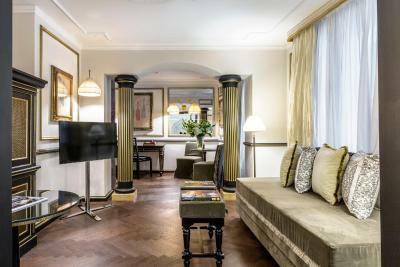 It includes an Illy coffee machine, a safe and butler service upon arrival. This room includes a comfortable late check-out at 2 pm. 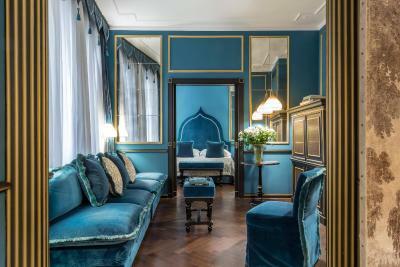 Like Venice itself, the 165 rooms and suites are a mixture of styles, but all capture the essence of this magical city. 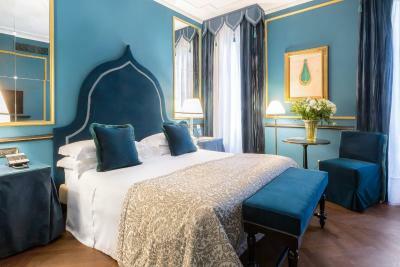 Blending fine contemporary comforts with details that reflect classic Venetian character, each room has a unique light, elegant atmosphere, with many offering marvelous views over tranquil canals and the Venice skyline with its magnificent San Marco's bell tower in the horizon. 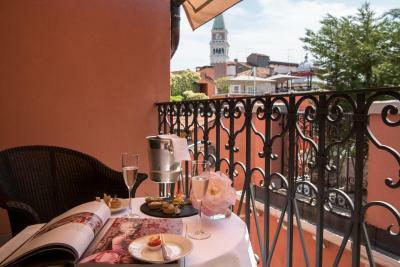 Le Maschere at the Splendid Venice is one of the few restaurants near Piazza San Marco which is also popular with locals. 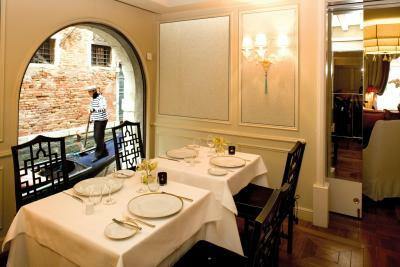 This authentic Venetian restaurant settled in our lovely Campiello serves classic dishes with a modern twist. 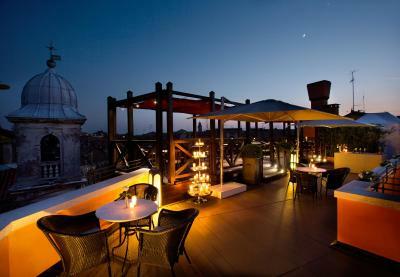 Our Altana Solana rooftop terrace is a place where guests can enjoy the breathtaking view, while sipping an aperitif (bar service is available during the warmer months). With its grand arched windows looking out on the canal, the bar is a peaceful place where to relax while watching gondolas drift by. 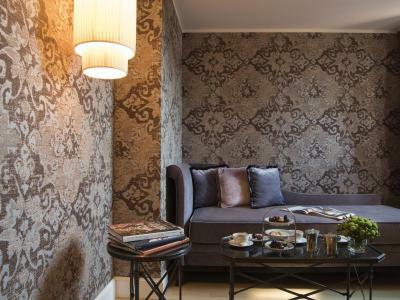 House Rules Splendid Venice - Starhotels Collezione takes special requests – add in the next step! 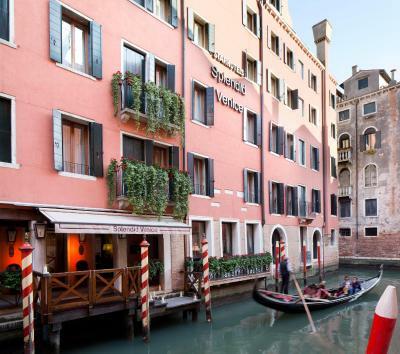 Splendid Venice - Starhotels Collezione accepts these cards and reserves the right to temporarily hold an amount prior to arrival. 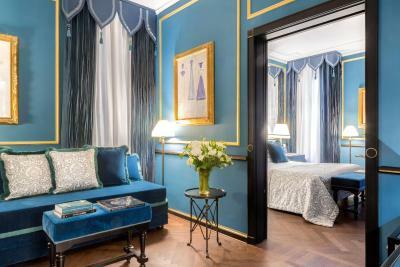 Please note that when booking a rate where payment is due before arrival, Splendid Venice - Starhotels Collezione will provide detailed payment instructions, for example a link to a secured payment platform. The breakfast was a little limited for me. Not much in the way of fresh fruit or veggie options. 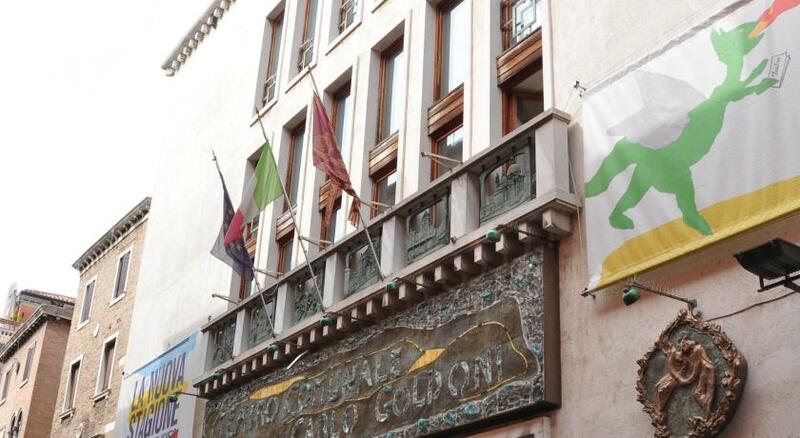 The staff were incredibly friendly and helpful. We had some great recommendations from the team at guest relations as well as friendly service at reception and from the wonderful porters! 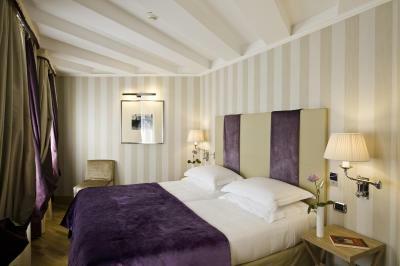 Rooms were clean and comfortable and the location is great for San Marco and the Rialto bridge. The taxi service from the airport direct to the hotel was a very memorable experience and I think well worth the extra cost. Thank you to all the team for helping me make some wonderful memories with my two young daughters. 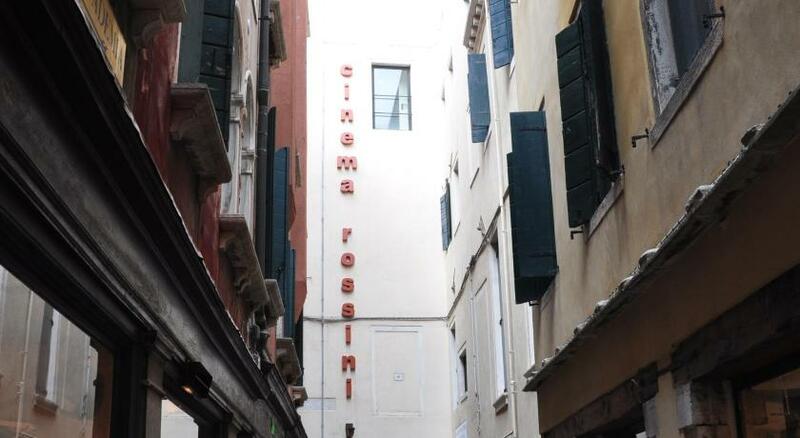 Couldn’t have been better considering the lack of space in Venice . 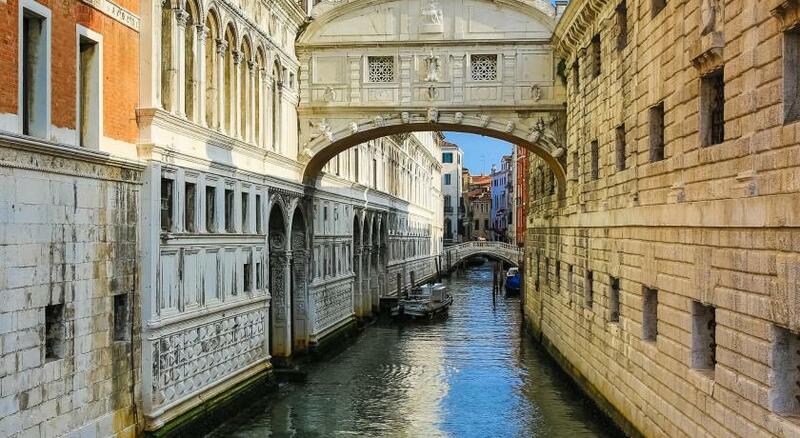 The location was absolutely perfect, midway between the Rialto Bridge and St Mark's Square. The views of the room were terrible, we had a view to a wall. And there was too much noise at night and early in the morning. The bed was super confy, we had a large tv and the bathroom was nice and very clean. Location was perfect. 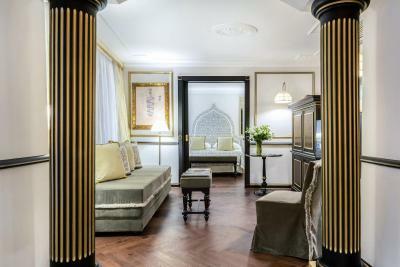 The exceptional staff, gorgeous room, attention to detail. I was there due to a quite stressful reason, the team could not have been kinder. I know it was central, but I feel the hotel was very overpriced and we would have expected regular top up of tea, for example. Beer and breakfast prices excessive, so chose to eat elsewhere. We had to wait with other people for half an hour to enter the restaurant to eat our prepaid breakfast because it was to crowdy or maybe because the staff was incompetent. When we finally sat at one table, we were told we only have 10 minutes because they are closing...Anyway, after we explained the situation in an agressive way, we could enjoy our breakfast. It is still unacceptable to encounter such situation at a 4 star hotel. Also, the room didn't have heat, the AC was set only to make cold, even if outside there were 10 degrees.We called the reception and this fact was confirmed to us. Some facilities weren't in the room, such as tea, bathrobes, bur we didn't report it as we overall enjoyed our trip. 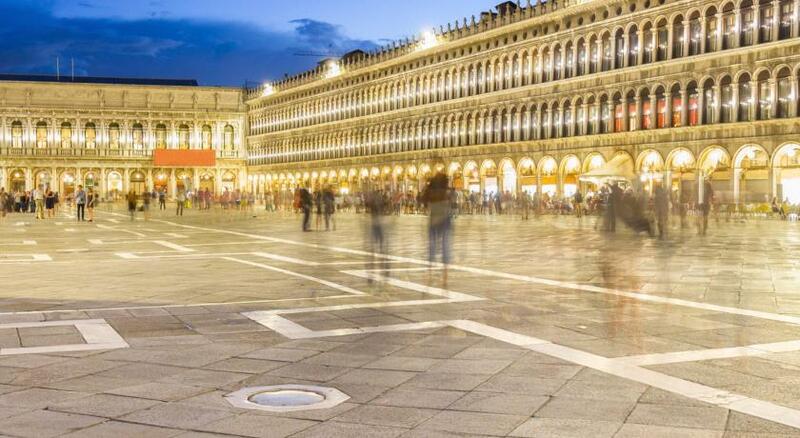 The central location, very close to San Marco square. 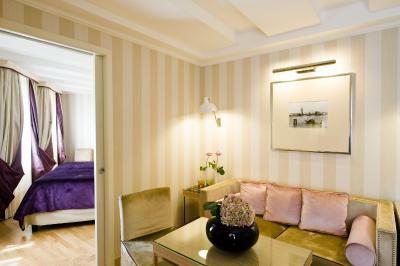 We stayed in a superior room which even it was small, it was cozy, very clean and with good taste in furnishing. Also, the shower was really comfortable. One could enjoy the rooftop view. Horrendously expensive. Things like laundry are double normal charges....€9 to press a shirt???? We ended up with €220 bill for laundry...ridiculous. The bar charges €20 for a Gin’n Tonic...crazy stuff. We felt ripped off. The whole town made us feel that. Destroyed the trip. How can I write two or three sentences about things we disliked when we totally enjoyed the place?